In May 2016, on an international project trip, I visited a deserted, desolate Teleskof, a place of despair with demolished homes, damaged Churches and the people absent. In October 2018, we entered the city from the same road as in 2016 and my heart dropped. The buildings were still demolished and other than our group, there was no one on the streets. 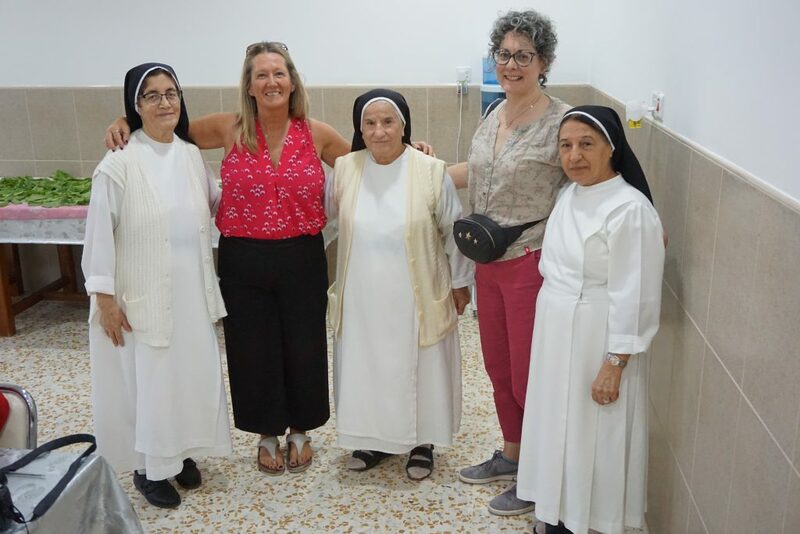 As we headed towards St George’s Chaldean Church, our guide informed us that the renovations in the Church were completed and it was now in full use. It was once again the core of the community. Even though his words gave me hope, it did not prepare me for what we found. A beautiful, reconstructed Church that was being prepared for vespers and for the evening Mass. Then we went to take a further look around… We passed burned out churches, homes and demolished businesses, life in ruins thanks to Daesh. 50 yards along the road, we turned a corner to enter a different realm. Fruit stalls, shops, homes and people. Even now, I can’t help but smile. We said hello to stall holders, mothers with their babies leisurely walking along the street, children playing on their bikes. What a sight to see. Thank you God for this new life in Teleskof. In the evening we joined the community for Mass. Father Dominic Chaplain to ACN UK celebrated Mass and I had the honour of delivering the reading and psalm for the day. As I read and looked at the congregation, it was an emotional time. Where the faithful sat now, was previously covered in glass and was a walk- way for the Peshmerga guarding the Church. Reconstruction of buildings is underway, with thanks to the Nineveh Reconstruction Committee and huge thanks to the support of ACN benefactors. Life has returned to Teleskof, the faces of the people reflect the trauma and stress but their hearts are full of hope for the future and filled with the love of God. 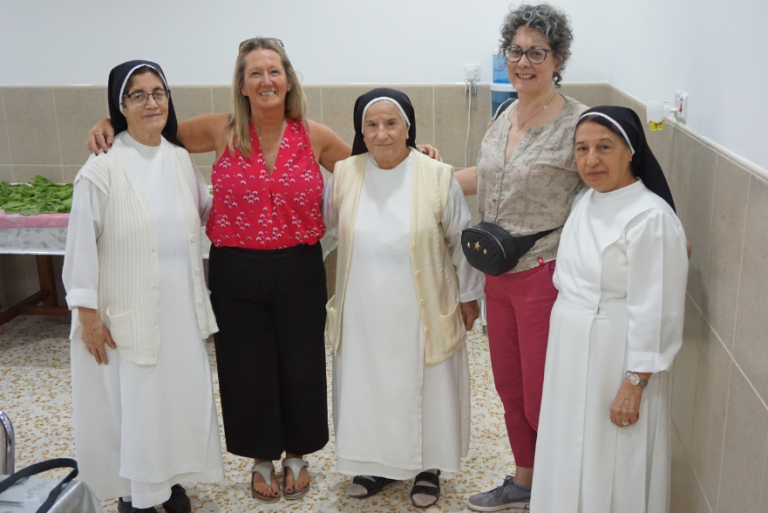 Lorraine McMahon and Caroline Hull, managers of ACN Scotland and ACN North West England, visiting Sisters. 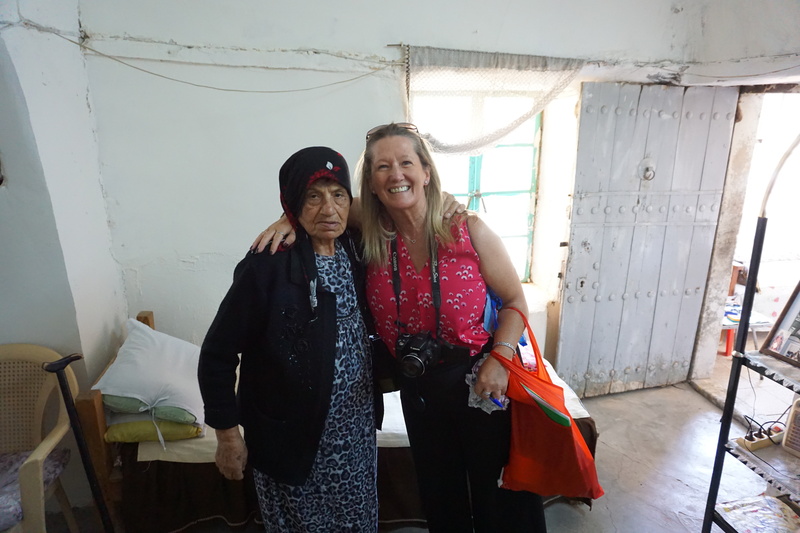 Lorraine McMahon with Gazella, a lady captured by Daesh several years ago but miraculously was released.